Railway. 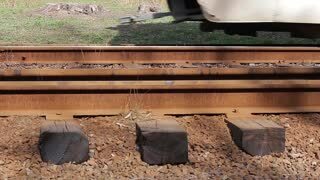 Train goes on rails. Electric train goes along the rails. Railway. Movement on rails. Train goes on rails. View from the driver's cab. 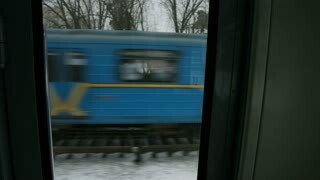 Electric train goes on rails. 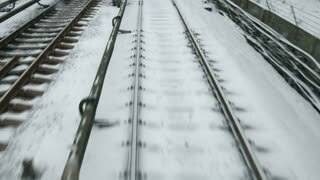 Winter railroad. Wheels of tram. Old tram goes on rails. Railway station. Retro tram lurks behind turn. Old tram goes through the snowy wood. Romantic railway. Vintage rails. 02. 08. 2017, Odessa, Ukraine. 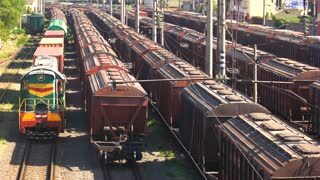 Many freight train wagons. Cargo freight trains on the rails in the railway station.